Bremerton has fallen behind this year in a nationwide competition among cities to get the most people to take a pledge for water conservation. Since the beginning of the National Mayor’s Challenge for Water Conservation six years ago, Bremerton has always ended among the top three cities in its population group. This year, the city stands in 31st place, which isn’t too bad considering that there are 4,800 cities participating in the competition. 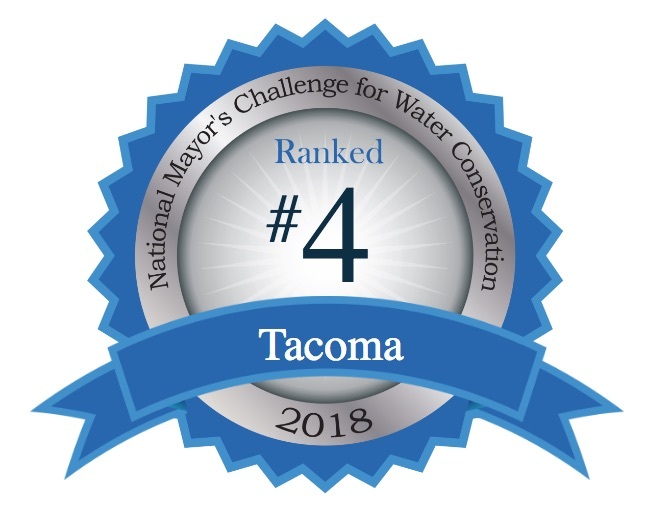 Top-ranking cities in Washington state include Tacoma, currently in fourth place, and Seattle, which is in fifth, based on the percentage of their populations taking the water pledge. Olympia stands at 42, Federal Way at 48 and Bellingham at 90. In Kitsap County, Port Orchard is ranked at 128th in the list of smaller towns, while Poulsbo and Bainbridge Island are not even in the game. 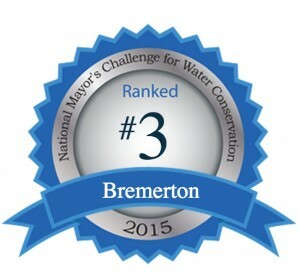 Bremerton has always done well in the competition, perhaps because of former Mayor Patty Lent’s enthusiastic promotion of the contest and water conservation in general, along with special efforts by Kathleen Cahall, the city’s water resources manager. This year, Bremerton has chosen to take a break from promoting the contest, Kathleen told me, citing a number of other water-related activities in April. Mayor Lent is out of office now, but everyone who participated in past contests should have received an email notice from the Wyland Foundation, which sponsors the National Mayor’s Challenge for Water Conservation. The goal of the contest — which includes hundreds of prizes for contest winners and other participants — is to get people to think about ways they can save water and to put those ideas into action. 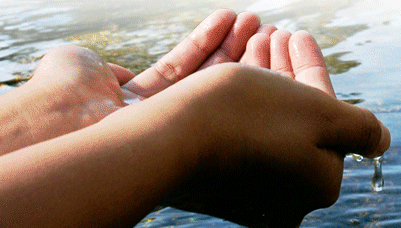 Individuals may join the competition until the end of April by going to the My Water Pledge website. So far in this year’s contest, the city of Tacoma is leading this state in the water challenge. Promotional materials include a Facebook video from Mayor Victoria Woodards, as shown on this page. The non-profit campaign is supported by WaterSense, a program of the Environmental Protection Agency; the Toro Company; National League of Cities; Conserva Irrigation; and Earth Friendly Products. Kathleen, a leader in Bremerton’s longtime efforts to maintain an abundant and clean water supply, will retire at the end of June after 27 years with the city. In all, she has worked in the water business for 38 years. I’ve always found Kathleen to be responsive to the needs of water customers as she goes about making sure that the city’s water supply will last well into the future. She has been a key figure in many stories about drinking water that I have written. The field of water resources is “Infinitely interesting,” Kathleen told me in an email. Kitsap Water Festival (for fourth-grade classes), April 17, Kitsap County Fairgrounds. Kids Fishing Day, April 28, 8 a.m. to 1 p.m., Bremerton Forestry Office (Otto Jarstad Park), 4230 W. Belfair Valley Road.